In this Whistleblowers’ Corner, you will find the information you need to submit your report relating to infringements in the areas of UCITS, CRAs and Trade Repositories. In accordance with the UCITS Directive, ESMA provides market participants with the possibility to submit confidential reports concerning an infringement of national provisions transposing the UCITS Directive. ESMA may also use information that comes to its attention via whistleblowers in order to conduct its supervisory activities under the CRA Regulation and EMIR. For further information about ESMA’s supervisory powers, please consult the Supervision section of the website. A natural person who is an employee (or former employee) of an investment company, management company and depositary, who reports, in a personal capacity and in good faith, alleged infringements committed within those entities of the national provisions transposing the UCITS Directive. Any other natural person reporting, in a personal capacity and in good faith, alleged infringements of the national provisions transposing the UCITS Directive. A natural person or group of natural persons acting together, employed (or formerly employed) by a supervised entity who, acting in a personal capacity and in good faith, provides information to ESMA which can serve to detect evidence or relate to a potential infringement of the CRA Regulation and Title VI of EMIR. If you fall into one of the categories above, and you wish to report a potential or actual infringement, please follow the steps set out below. The reports can be submitted by email or by post, to the addresses specified in the relevant forms accessible via the links below. Please read the instructions carefully to ensure that you are aware of the different options for submitting your reports. In order to best consider your report, please make sure that it contains detailed and complete information. Please be informed that ESMA has taken all the necessary steps to ensure that the confidentiality of these reports is preserved. Your report will be considered as confidential, unless you expressly and unambiguously consents to the disclosure of the information. 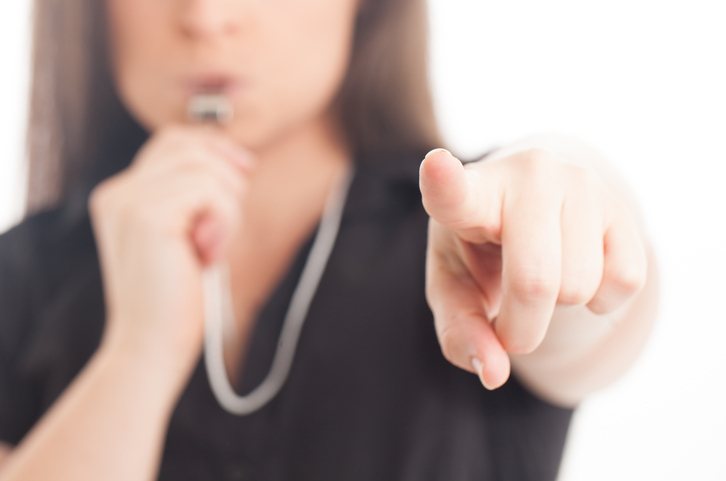 Despite the steps taken by ESMA to ensure the confidentiality, as a whistleblower you should be aware of the potential risks you may run by submitting such a report. As in all such proceedings you may face reputational risks, potential retaliation from the (former) employer and legal consequences (including potential civil suits and potential criminal proceedings). To reduce these risks, please consider that use of corporate devices or corporate email addresses may entail a risk of identification. Your options for submitting your report are set out in the forms, including the option of submitting it in double envelope format by post. Any personal data contained in these report forms will be processed in compliance with the requirements laid down in Regulation (EC) No 45/2001. Further and more detailed information regarding the processing of your personal data can be found in the Data Protection section of ESMA’s website. For any additional question on the processing of your personal data, please contact the Data Protection Officer at ESMA (dpo@esma.europa.eu). Please be aware that misusing the Whistleblowers mechanism may constitute a criminal offence in one or more Member States of the European Union.